Create Embellish Adore: Shake your tail feathers! head out on the town! I laugh every time I use this stamp. How can you not? Don't you see them shakin' their tail feathers? Because the image is so much ... I went simple. Little accents of color. 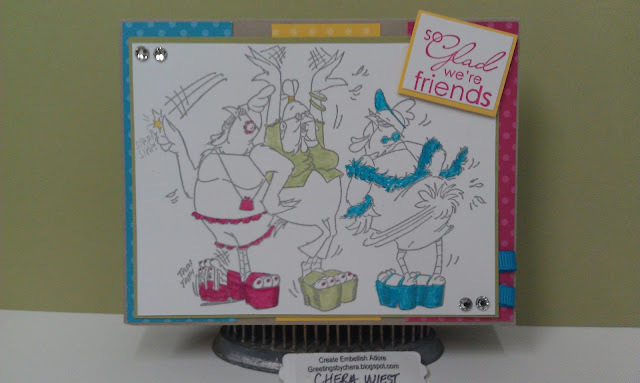 I wouldn't have remembered this stamp if it wasn't for the Bloggers Challenge, FOR THE BIRDS.... and then incorporated the colors from the Colour Q challenge too! Your card is a hoot. What fun! 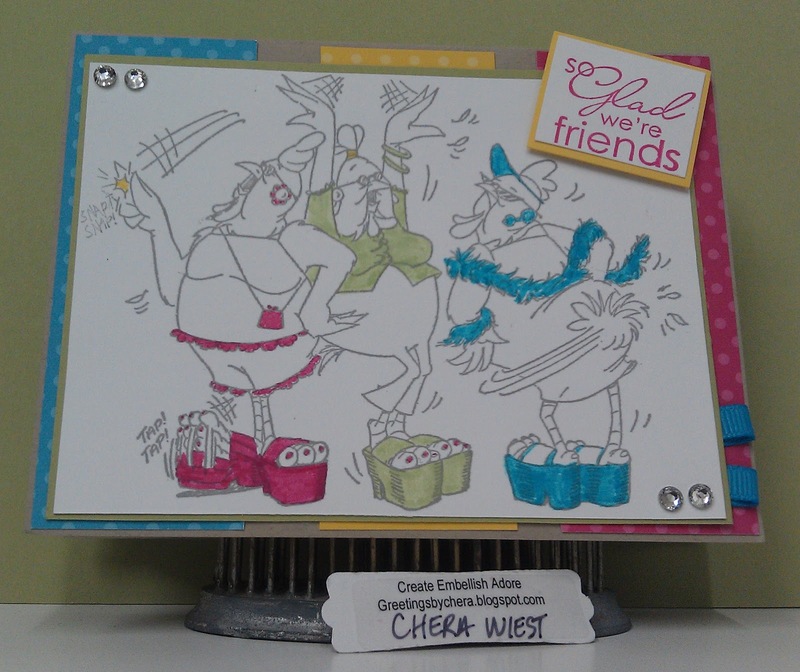 Your card is stinkin' cute, love the touches of color and those wedgies platform shoes are a hoot, very cute, makes me want to get up and dance. This is so much fun! Those girls look like they're having the time of their life! Great coloring too! Thanks for joining us at colourQ! This totally cracked me up Chera! I love those old birdie gals! 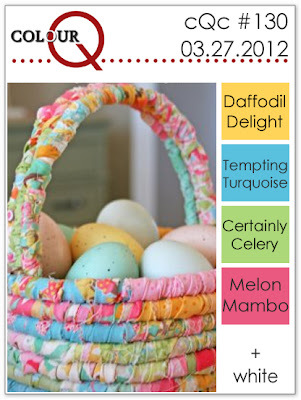 Such a cute girlfriend card, love the colors thanks for playing along with the Bloggers Challenge! so cute, love the bright colors on this card.